Can the meditative viewing of art be a window into the infinite? Can we use art to deepen and enrich our faith? Clearly, the answer is yes. Art has been used as a religious tool since humans first began to create. This blog is a personal exploration of the ways that great art moves me closer to God. The main focus will be on western art with a Christian emphasis, but I may include other world religions and artistic cultures that interest me from time to time. About me: I’m an art historian whose main area of specialization is ancient Greek and Roman art. 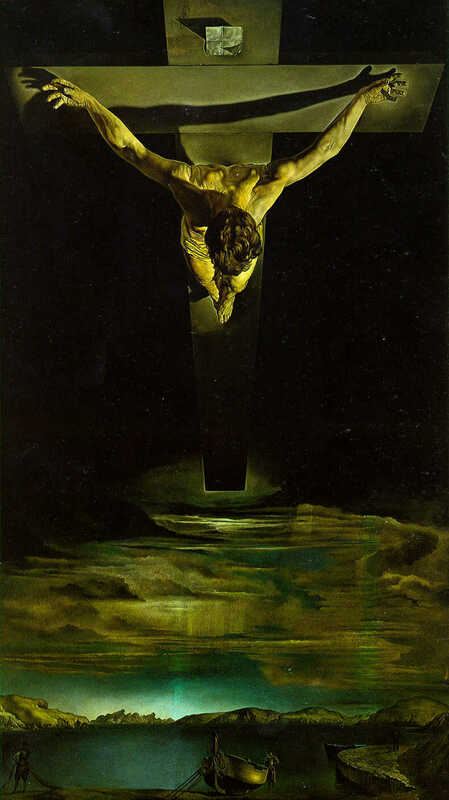 However, I’ve been moved by Christian images since I was a young girl in Catholic church. After reading Henri Nouwen’s powerful reflection on Rembrandt’s The Return of the Prodigal Son, I’ve wanted to try using art as a way to connect with the deeper spiritual resonances of scripture and faith. Ultimately, I would like to help others to do the same, so I’ve created this blog as a way to curate visual contemplations for myself and others who are on this spiritual journey. Your Seeing God in Art blog has indeed been a source of Infinite Windows into my spiritual journey. Committed to lifelong learning, I find the art interpretation and Scriptural readings to be immensely satisfying. I have checked out every Art History DVD in the Fort Worth, Texas, Public Library system and still cannot get enough of this new-found passion for the glory of art. It is spiritual bread. Yesterday I listened to fascinating interviews on the On Being Radio Show. One comment made during the interview with Bessel van der Kolk (Restoring the Body – Yoga, EMDR, and Treating Trauma) propelled me light years ahead in my attempt to live with childhood sexual abuse. Everything he mentioned about the long term effects of Yoga for body trauma patients has happened for me. It was reassuring to me to hear him say that some trauma affects the part of the brain that is not receptive to language and talk therapy. Spot on! I have found a significant degree of peace through the practice of Yoga and experiencing my body in a loving and healing way. I am so grateful to learn also that the effects of trauma can impact the brain in ways that cannot be undone. That sounds odd, but I feel liberated in a way to know that I am managing something I cannot permanently change ever. I am now more compassionate toward myself. In the misty, pre-waking moments this morning, a voice in my mind said, “It’s time to move on.” Thanks to you, Dr. van der Kolk, and Krista Tippett, through God’s healing grace, I made a leap of growth through the new understanding I gained from his interview. Infinite Windows is the perfect title for your blog and your mission to enlighten, inform, and nourish your readers. Thank you so much for sharing your journey with me! I couldn’t be more grateful to hear that my little blog is part of your spiritual and emotional nourishment! May you be well and continue to find God! Hi Jane! I’ve been recovering (pretty much bedridden) for the past year after a serious health crisis. I wish I’d found your blog sooner because the artwork is so beautiful and calming! I look forward to going along on your journey, and finding my way back to God. I’m so glad that it has helped you! I only just started the blog recently so you haven’t missed much. Be sure to click Follow so that you receive my posts in your feed. Art is good for the soul, isn’t it?! I pray that you have a good recovery. I am thrilled and honored to accept! Thank you so much! It might take me some time to write my acceptance post since I’m working against a grad school project deadline right now! I understand and I remember those days. Good luck with your project. I love the idea of your blog. It is beautifully written, well researched and sensitively executed. Thank you for this – I look forward to future posts. I’m grateful for your kind words, thank you! Viewing artworks admired by many others for the artworks' ability to communicate, connect, transform, inspire… is a wonderful meditation. Thank you for your kind words. Your blog/artwork looks amazing! Hi Ann, I loved looking at your work on the Face of Christ. It’s funny, I was thinking about working on a post of that very subject. I may do that someday soon and I’ll be sure to include your work! I also love Ste. Chappelle! I heard a chamber group play Vivaldi’s Four Seasons there once on an early summer evening, it was lovely! 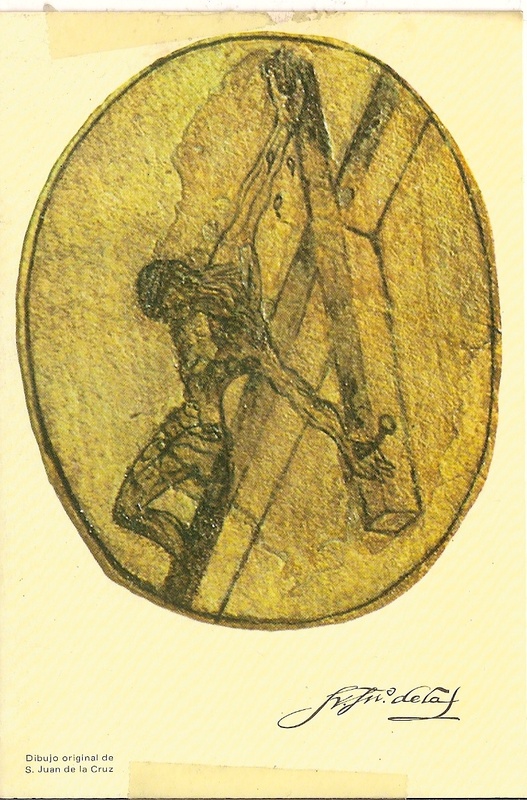 Did you see the relation between the “dibujo” of saint John of the Cross and the Christ of Salvador Dalì?